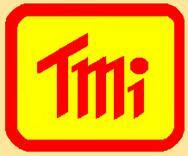 Torque Meters and Wrenches | T.M.I. Notes on Force and Torque Meters. 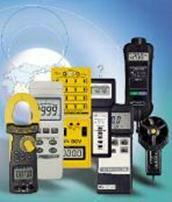 Force and torque instruments are used to measure force, weight or torque. Some can measure force and torque by changing the sensor / transducer. Force or weight measurements include tension or compression loading, units are lbs., Newtons, etc. Torque measuring instruments display torque units (in-oz, ft-lbs etc.). Important parameters to consider when specifying force and torque instruments are the force measurement range and accuracy and the torque measurement range and accuracy. Sensor or transducer interfaces for force and torque instruments include strain gauge and piezoelectric. For strain gage devices, strain gages (strain-sensitive variable resistors) are bonded to parts of the structure that deform when making the measurement. These strain gages are typically used as elements in a Wheatstone bridge circuit, which is used to make the measurement. For piezoelectric devices, a piezoelectric material is compressed and generates a charge that is measured by a charge amplifier. The analog bandwidth is another important specification to consider. The bandwidth is the frequency range over which the device meets its accuracy specifications. Accuracy is degraded at lower and lower frequencies unless the device is capable of dc response, and at higher frequencies near resonance and beyond, where its output response rolls off. Frequencies in the database are usually the 3dB rolloff frequencies. Common configurations for force and torque instruments include handheld, portable, modular and battery powered. Measurement features of force and toque instruments include tare, limits or set points, peak hold, controller functionality, temperature compensation, biaxial measurement, and triaxial measurement. Units with tare can zero out reading to measure differences, for weighing. Limits and set points include hi – lo. Peak hold shows or holds a peak measurement value. Controller functions include set limits, regulator, P/PI/PID etc. Instruments with temperature compensation have software or adjustments for compensating for variations in temperature that may cause measurement errors. Force and torque instruments with biaxial measurement have an accelerometer capable of measurement along two, usually orthogonal, axes. Force and torque instruments with triaxial measurement have an accelerometer capable of measurement along three, usually orthogonal, axes. Force and torque instruments usually have displays for users to interface with the unit. Common types of displays include analog or dial displays, digital readouts, and video displays. Programmability is achieved through manual operation, front panels, or computer interfaces. Instruments with software support have software specifically for running on host computer, which can be PC or MAC. Advanced searching capabilities for force and torque instruments include outputs, digital resolution and sampling frequency. General features found on force and torque instruments include filters, event triggering, built-in self-calibration, self-test diagnostics, and extreme environment construction. Force and torque instruments often come with data storage in nonvolatile memory, hard drives or removable storage. Very often these instruments are also compatible on a network. Digital Torque Wrench, Heavy Duty, professional, 1000 Kgf-cm, lbf-inch, lbf-feet, Newton-cm, Newton-metre. Back Light. Alarm setting with beeper. Auto off. NORBAR from 8 to 300 Nm. High Precision. Two end fitting styles with socket or spanner fittings for special applications. Many optional termination fittings available. Many Other Options and Prices upon Request.